Originating in the New York experimental music scene of the mid to late 1960s, The United States Of America shared a radical outlook with fellow Big Apple dwellers The Velvet Underground, and, according to legend, Nico once tried to join this wilful troupe. There any similarity or crossover ends, for whereas Lou Reed’s art-terrorists used good old rock’n’roll guitar music as a base for flying off into their marvellous noise freakouts, The USA eschewed the use of the six string instrument entirely, a brave move indeed in the geetar-obsessed 1960s. Leader Joseph Byrd was a long-standing participant in the New York avant garde scene and he had studied under John Cage. Enticed by the mainline hit of pop music, his vision was to create an avant-garde psychedelic and politically radical trip, and his band went far beyond the boundaries of average hippy fare, which is probably why they were never commercially viable. Utilising primitive synthesisers, electronica, tape effects and a ring modulator combined with various keyboards and a violin, the band’s experiments in sound were sometimes successful, sometimes not, as we shall explore later. The band only managed this one eponymous 1968 released but recorded in 1967 album, and collapsed during or shortly after a tour to support the record. The usual problems of drug busts and ego were exacerbated by the temperamental nature of their primitive electronic instrumentation, often failing in situ, and The United States Of America lasted but a blink of an eye. Album curtain raiser The American Metaphysical Circus is introduced with the sound of a wonky barrel organ, and Dorothy Moscowitz’s little-girl-lost voice in true Alice-takes-a-trip fashion. Various odd noises off swoosh and swirl about, and the resulting heady psychedelic whorl creates a tripped-out mantra for the altered mind, an effect enhanced by the very Sgt Pepper-esque lyrics. While the opening track was the creatively successful side of the coin, the following song, bearing the cringeworthy but 1960s-typical title Hard Coming Love is bloody awful, at least for the first minute and a half. An out of tune plodding garage psych bass line that would have been rejected at a Nuggets audition is topped off by a screeching electronically treated violin, where a low down’n’dirty fuzz guitar would have made far more sense and been less painful to boot. The song is later partly redeemed by Dorothy’s best Grace Slick impersonation, and the melody is only held down by her force of will. All in all, a bit of a mess. The dreamy Cloud Song, sub-titled inspired by Pooh, takes at least some of its lyrics from A. A. Milne, and the same verse is also used in The Incredible String Band’s otherwise utterly different Little Cloud, also recorded in 1967. The underground community obviously all read the same books on both sides of The Pond! 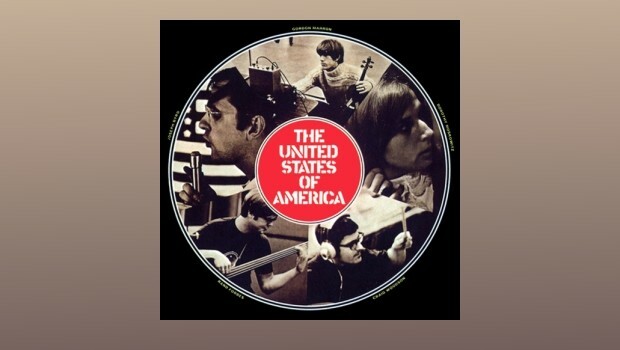 Applying Stockhausen and Cage to rock idioms, tracks like the mini-epic The American Way Of Love must have been a real shock to the few folk who bought the album in 1968, although being primed by The Beatles more extreme efforts and Frank Zappa’s cut and paste experiments with The Mothers may well have helped. Nowadays it still sounds quite a feat of arrangement and ambition, but with the curious naïve charm that often attaches itself to recordings of that era, as heard by our by now world-weary ears. Another one that pulls no punches is Coming Down, a narrative about the after effects of an acid trip featuring ring modulated violin and viola. Radio friendly this isn’t! In complete contrast, Love Song For The Dead Ché certainly can be imagined floating across a street from an open window, where a radio sits on the sill. One thing about this record is the stark contrasts in styles from one track to the next. Stranded In Time is an obvious homage to British psych pop in general and The Beatles in particular, with its contrasting melodies and odd time signatures. The lyrics are clever and literary, and the professed radicalism is fairly hard to spot, mostly reserved to mild put downs of the American Way Of Life. The title Love Song For The Dead Ché is by far the most radical thing about that particular song, but that doesn’t take away from a poignant and cliché-free piece of writing. The eleven (!) bonus tracks are the same as on the American Sundazed reissue from 2004. Most interesting are tracks 15 to 17 inclusive, recorded after the album’s release in the spring of 1968 and after Joseph Byrd was “fired from my own band” as he is quoted as saying. These three tracks are by the reconfigured Byrd-less line up, and include a guitar player. Unfortunately they are nothing more than pleasant if inconsequential acid-pop, and being of a more traditional bent show up Dorothy’s rather limited range. This Esoteric reissue has the obligatory “remastered” tag, but who knows what that means nowadays? Suffice to say the sound is fab gear, to use a suitably 1960s compliment. It has taken quite a few plays for me to get under the skin of this odd yet beguiling album, as it passed me by when I first delved into the astonishing era of the late 1960s some thirty and more years ago, lost as it was in the Forever Changes and other far more well known fare from that heady era. Having persevered with it I can quite understand why it is so highly regarded by critics and musicians alike. The fact that sometimes the sheer amount of ideas on display occasionally outstrips the band’s ability to carry them out only adds to its appeal. Years ahead of their time it is difficult to asses the influence of The United States Of America, and, unlike their contemporaries the Velvets, I somehow doubt that everyone who heard this group the first time round was inspired to form a band of their own, apart from maybe Tonto’s Expanding Head Band! The album they left behind is a real curio, and there can be no doubt that the infant electronic musical technology and the production techniques evident on this trail blazing record inspired a host of electronica musicians.